The upcoming Samsung Galaxy S10 could very well use an in-display selfie camera eliminating the need for a notch altogether. The Galaxy S10 could implement the Infinity-O display that was showed off during the company's recent developer conference. A design patent to this effect was applied for at the Hague International Design System, whose database is managed by the World Intellectual Property Office. 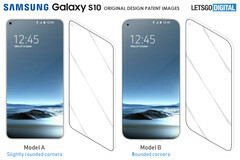 The upcoming Samsung Galaxy S10 could be using the Infinity-O display design, according to a recent patent filed with the Hague International Design System (HIDS). The design patent, first reported by LetsGoDigital, shows off two display models with either slightly rounded or rounded corners. Both models have a hole in the upper left corner for the selfie camera. This removes the requirement of a notch and presents the user with a full screen viewing experience. A similar design was also seen in a few earlier renders as well. The HIDS database is managed by the World Intellectual Property Office (WIPO) and a patent approved by the HIDS is automatically accepted by 70 different countries as per The Hague Agreement signed in 1926. 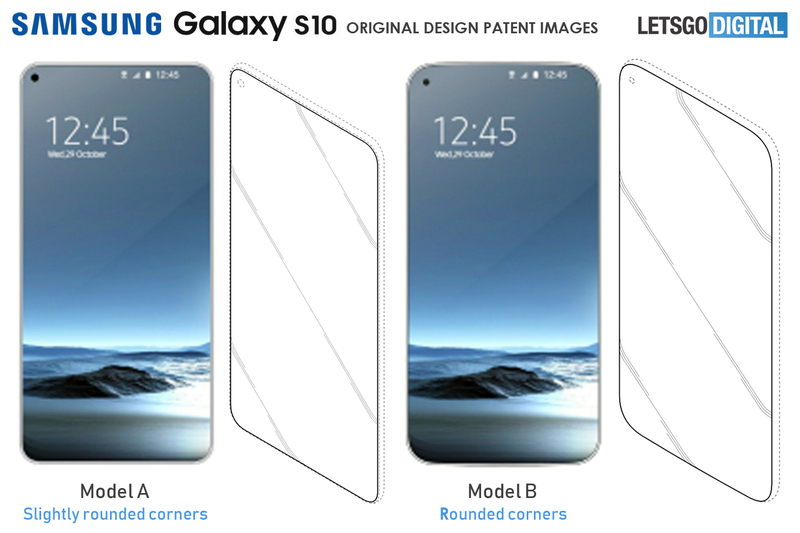 Samsung's patent filing also includes about 50 variations of the design. The differences are mainly seen in how the display curves. In some models, a curved display similar the Galaxy S7 Edge is seen while in some others, the screen is flat with varying degrees of rounded corners. However, in all the designs, the in-display camera is seen towards the upper left corner. This means, we might see a couple different designs of the Galaxy S10 or similar such designs in future Galaxy A or J series phones. This patent appears to be purely visual with no written description added. The company has also filed similar patents earlier wherein the different positions and shape of the in-display camera hole were depicted. Samsung is not alone in the in-display camera design space, though. We recently reported that LG has also filed patents at the Korean IP Office for multiple in-display camera designs and OPPO is also mulling a dual in-display camera design for its upcoming R19 smartphone. With the imminent launch of foldable phones and now, phones with full view displays sporting in-display cameras, it looks like 2019 will be the year of radical shifts in smartphone design.